Elizabeth Garat painting en plein air. Maya’s abstract mixed-media artworks are inspired by urban imperfections – cracks in sidewalks, peeling paint, rusted metal. 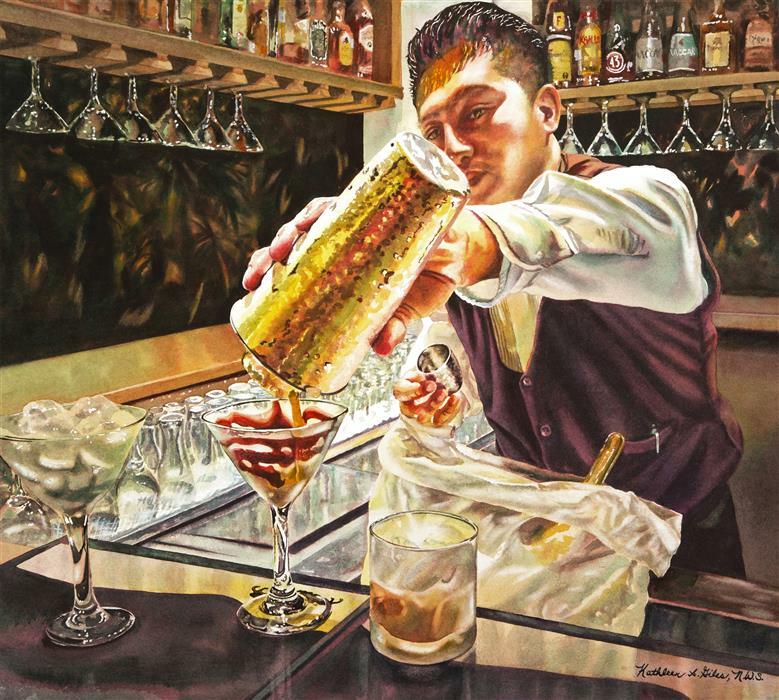 Influenced by the Japanese philosophy of wabi-sabi, Maya embraces the aesthetic flaws of city life, translating daily discoveries into heavily layered and textured paintings. “Some works have close to fifty layers,” she mentions. 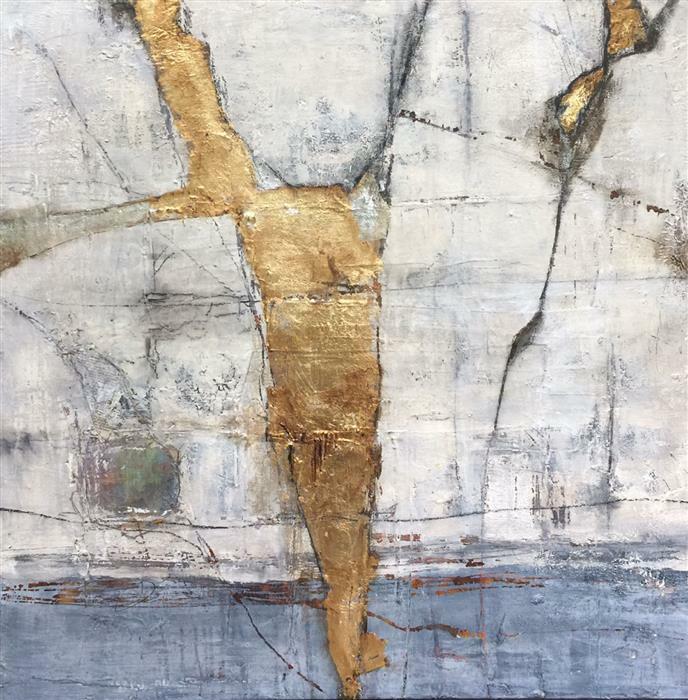 “I like to layer paint and media slowly, a little at a time.” Maya employs a neutral palette and generous applications of metallic leaf to create meditative yet sumptuous artworks, quietly enticing the viewer. Painter Robin Okun expresses the human figure in a contemporary style with emotionally intuitive presentation. Robin embraces the body as a sacred vessel that demands honor, respect, and love. 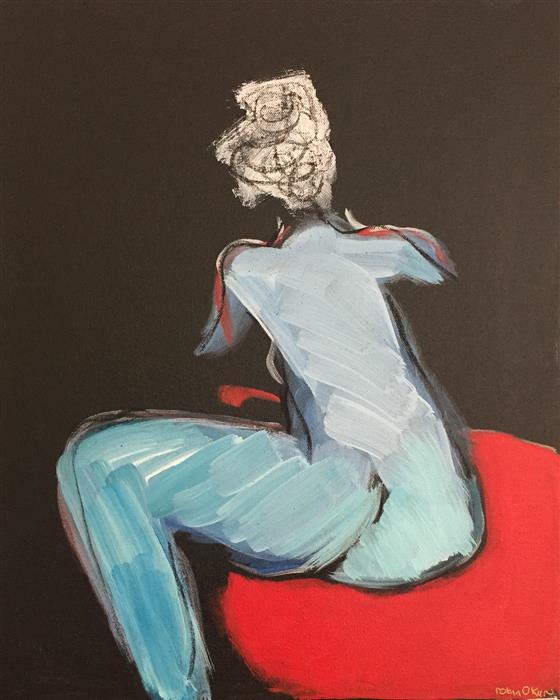 She layers charcoal and acrylic paint with vibrant colors, bold shapes, and fluid lines to depict forms inspired by live models, photographs, and sculpture. Robin’s visual voice is unique and recognizable. Through her work, she strives to celebrate the varied human form. 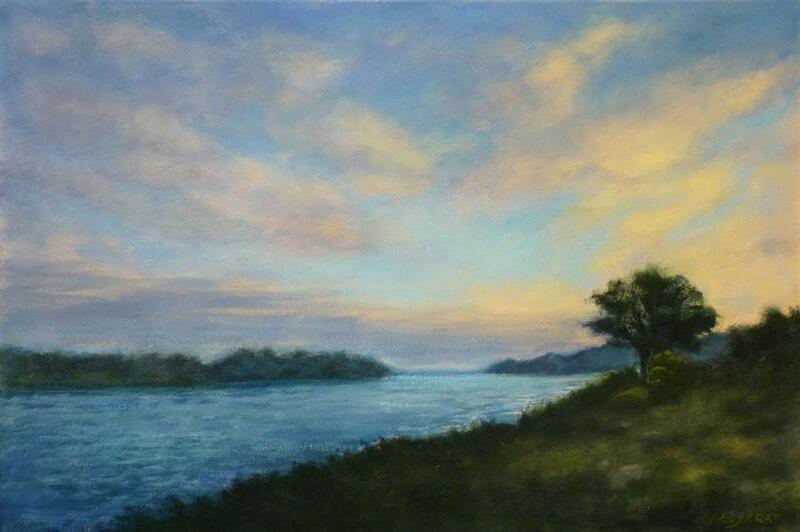 See artwork by all of our newest artists in the New Artists Collection on UGallery.